We offer a delicious North Indian Lunch Buffet 7 Days a Week! Always Changing, the buffet offers the most authentic dishes India has to offer. ROYAL INDIA BISTRO formally known as GAYLORD INDIA RESTAURANT, has come back to Las Vegas to offer the same authentic North Indian cuisine in an updated and newly renovated restaurant. Award Winning Restauranteur, Harjit Singh, has brought his best to Las Vegas. With the Success of Indian Delhi Palace (opened 1985 in Phoenix, AZ), India Masala, Curry India Bistro (opened 2012 in Diamond Bar, CA) and India Masala Bar & Grill, now it is time for Vegas to spice up it's dining experience. 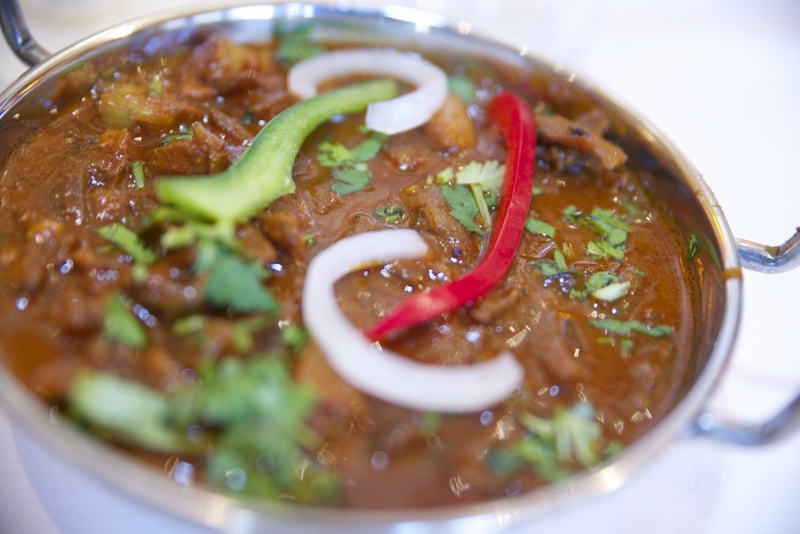 Every dish is individually prepared to ensure freshness and quality, cooked with the freshest hand picked vegetables, and only using original spices from India, Royal India Bistro can bring that authentic Indian flavor. 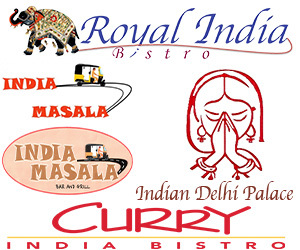 ROYAL INDIA BISTRO offers a unique group dining programs that enables larger parties to sample the richness of Indian cuisine with private and semi-private dining for groups, making our venue the ideal location for corporate and social functions. The Royal Room will accommodate dinner or cocktail functions for up to 40 guests and The Kamraa can be reserved for a private seated dinner for 2-12 guests. In addition, the entire restaurant is available for events through full buyouts for up to 80-120 guests. Phulpreet Sodhi, ROYAL INDIA BISTRO's Special Events Manager, is available to answer all of your questions and help you plan your memorable event. He can be reached at RoyalIndiaLV@gmail.com and at 702-777-2277. Harjit Singh Sodhi and his Family are the distinctive forces behind an diverse group of award winning restaurants. Their collection includes: Royal India Bistro, India Masala, India Masala Bar & Grill, Indian Delhi Palace in Arizona and Curry India Bistro in California; While each location offers its own style of Indian Flavors and cooking styles, they all have amazing chefs with a signature combination of thoughtful and memorable food, intelligent mixed drinks, and bring the best. ROYAL INDIA BISTRO is located inside the RIO All Suites & Casino Hotel, adjacent to the King's Room on the Casino Floor. Valet parking is available through the hotel.